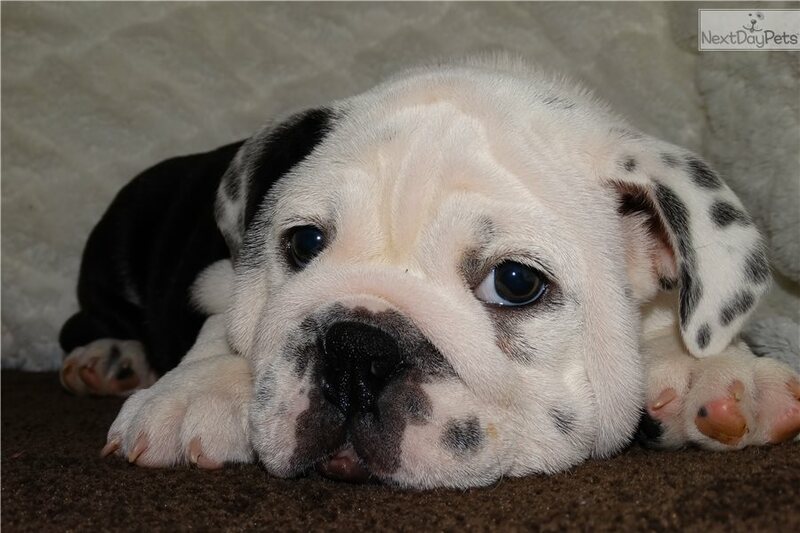 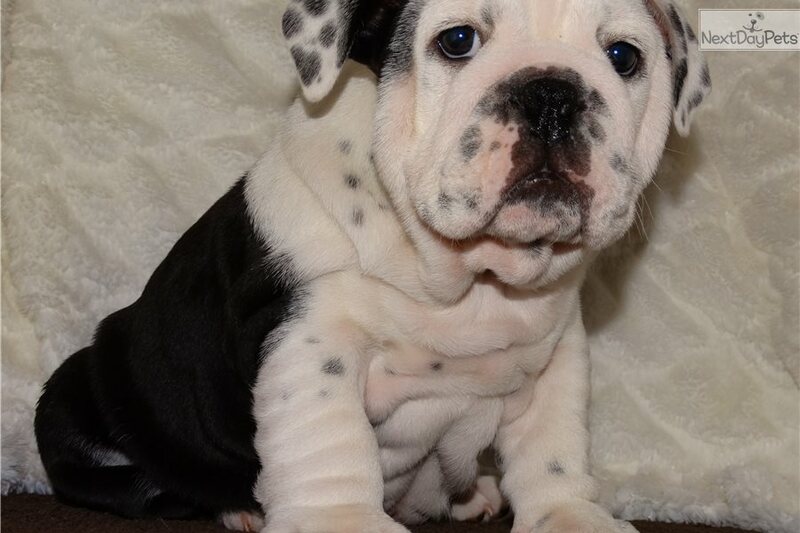 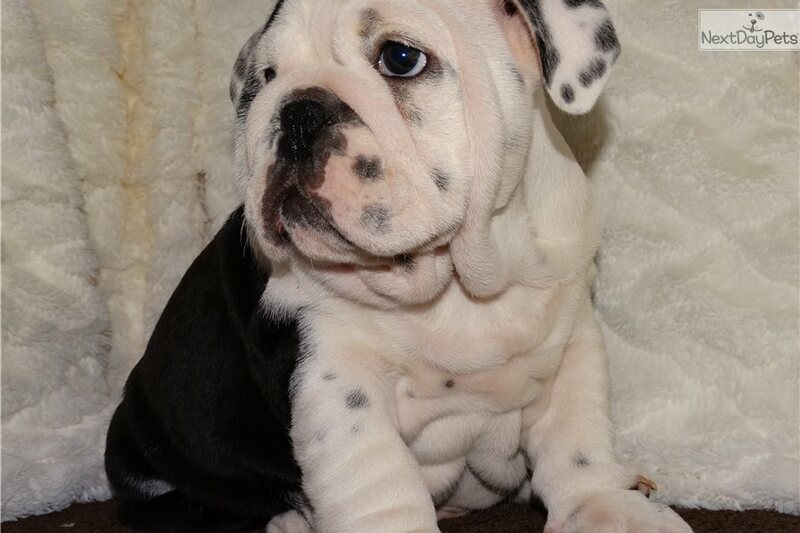 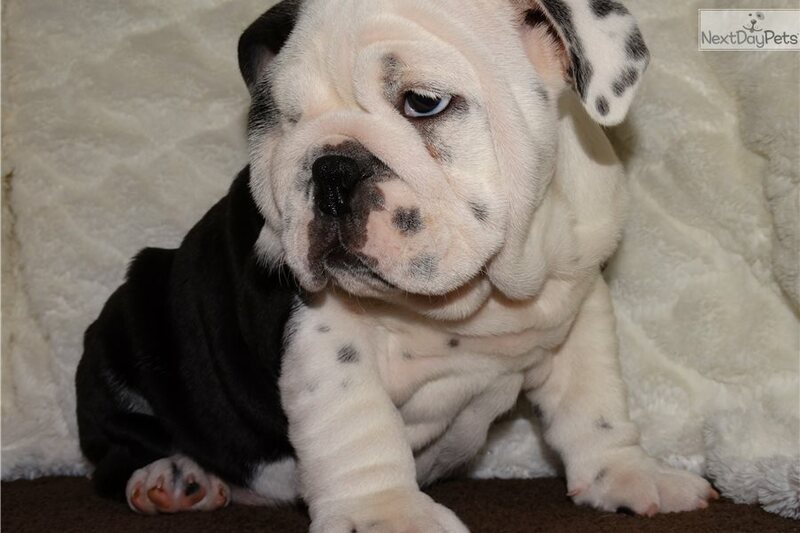 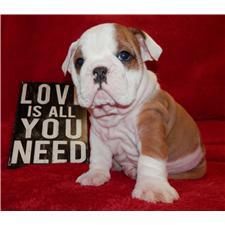 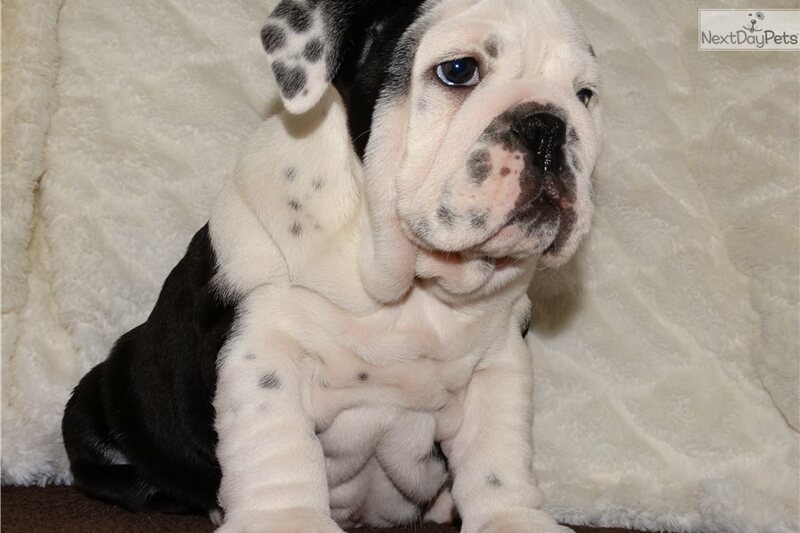 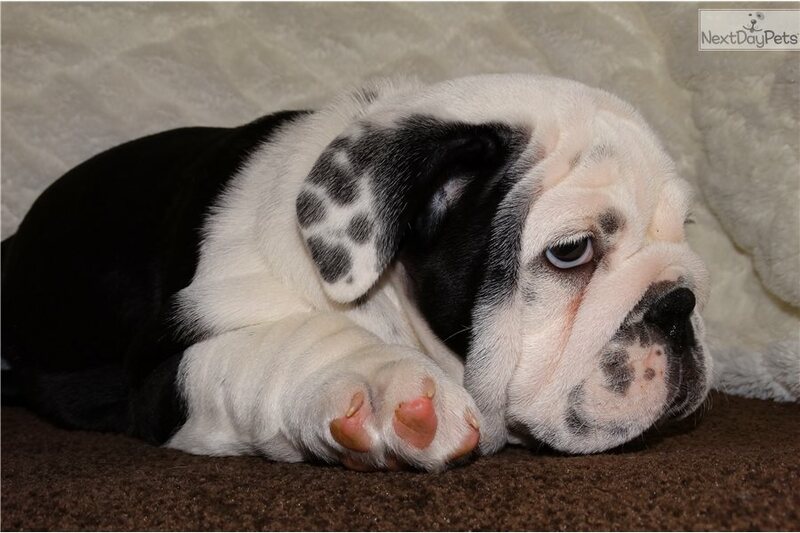 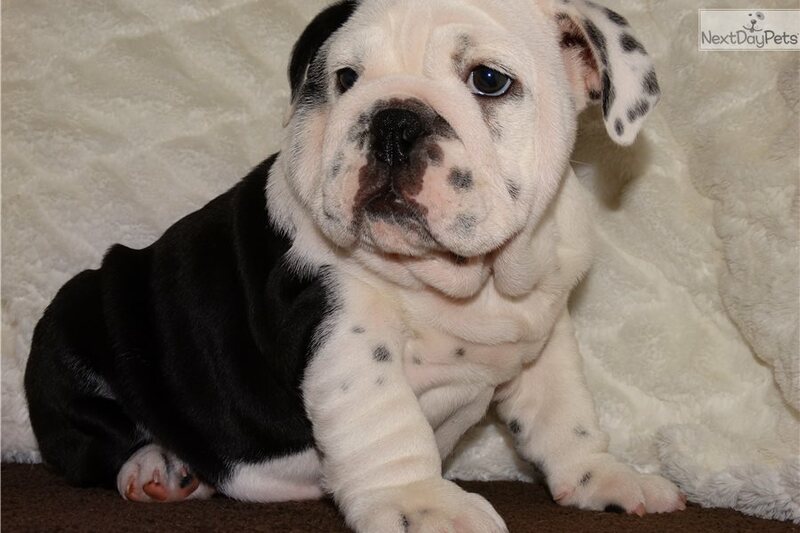 This English Bulldog nicknamed Dasher sold and went to a new family. 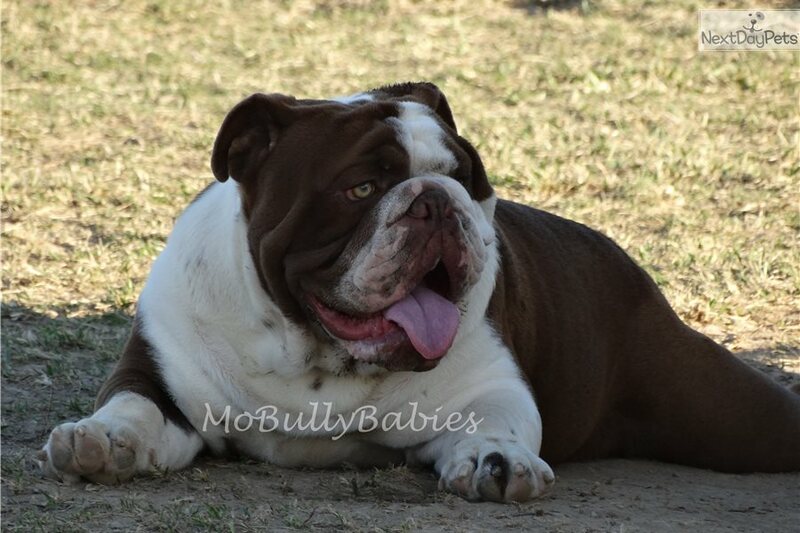 Dasher is a handsome black seal boy from Flower and Throttle. 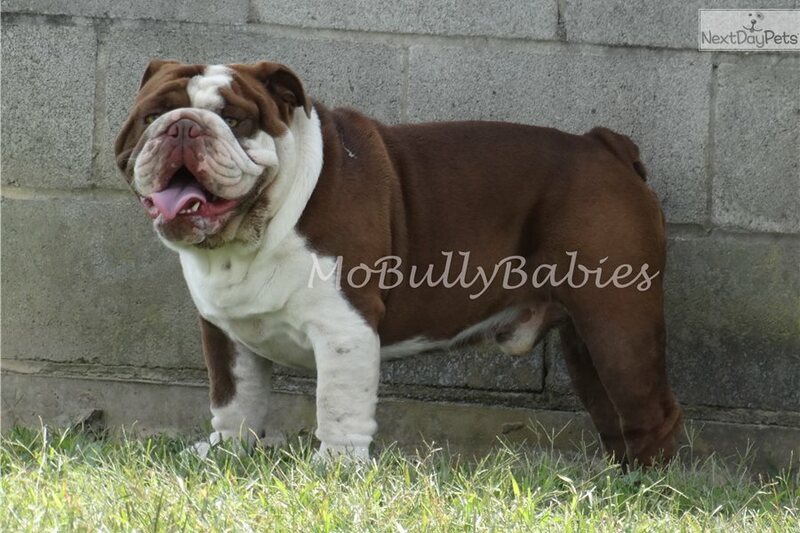 DNA will not be done but he carries chocolate and could be a triple carrier. 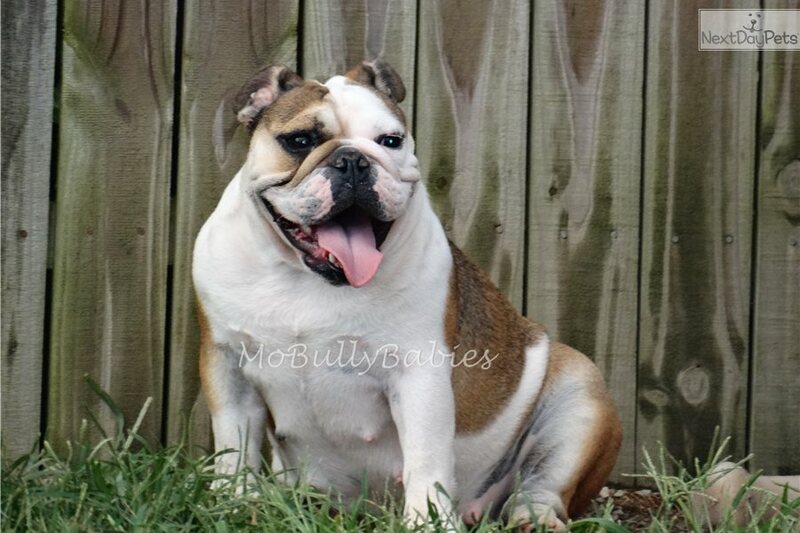 To see more individual pictures or to watch videos of his litter playing, please visit our FaceBook page - www.facebook.com/BullyBabies. 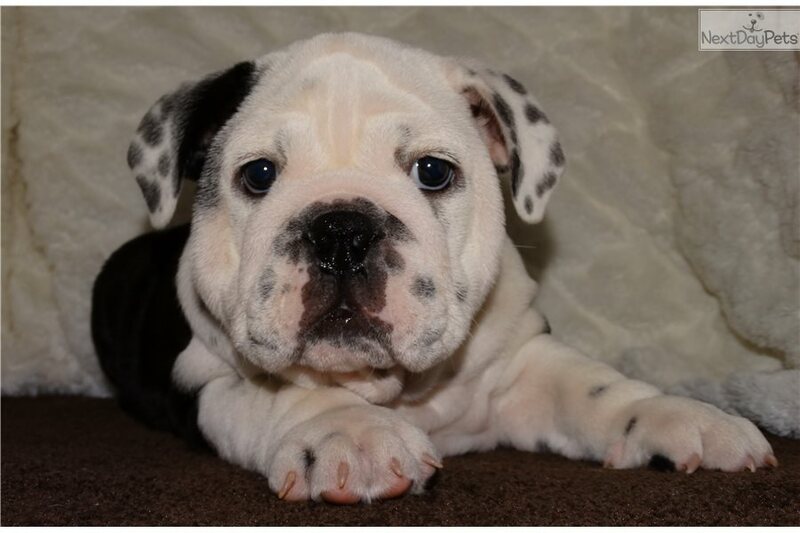 He will come with limited AKC Registration (Full Registration is available for an additional fee), microchip, vet checked and vaccinated. 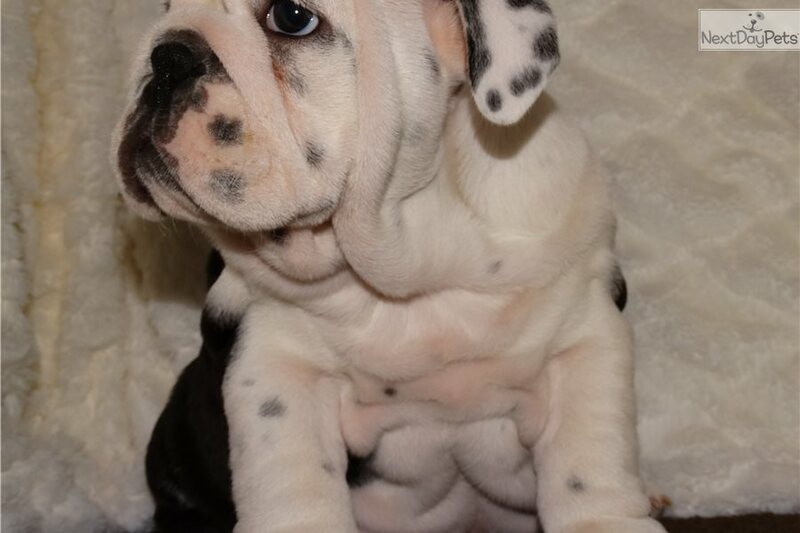 He will also come with 30 days of FREE Trupanion pet health insurance, along with a Health Guarantee, and Health Certificate. 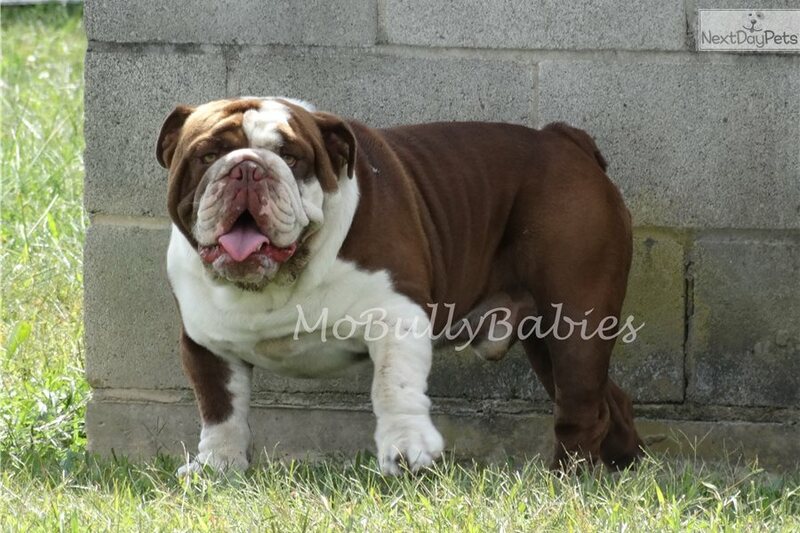 If you are interested in him or one of his buddies please fill out the Questionnaire on our WEB SITE, www.mobullybabies.com. 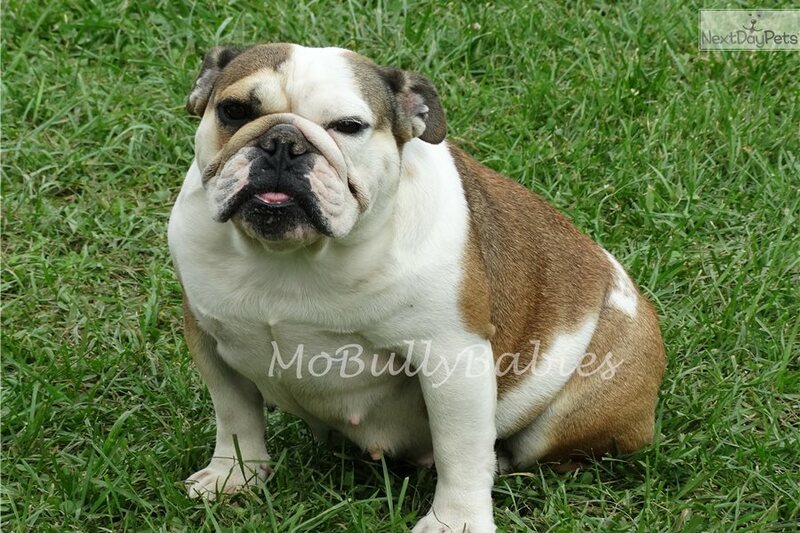 I am happy to talk to potential adopters on the phone AFTER the Questionnaire on our web site has been completed. 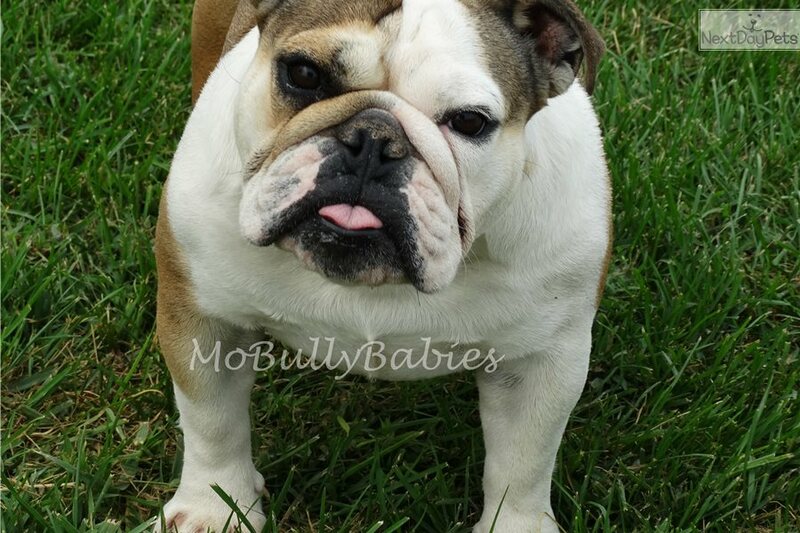 Please visit www.mobullybabies.com or www.facebook.com/BullyBabies for more information.